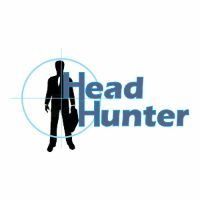 Headhunter is a company that provides employment recruiting services. They find talent and professional based on your specific job requirements for their clients. Headhunters may have a pool of candidates for specific positions and recommend them to their clients. Get help from a headhunter is one of the direct ways to find the right person to fill a role in your company. So, actually why should a company use headhunter? Every employer wish to recruit talent to support or expand their business. A fantastic candidate can make a huge difference to your company’s turnover and profits. A headhunter will help you and always encourage you to recruit the best compared to what else is available on the job market. Invest more in human resource will make your company different. To make sure you recruit the best on the market you must consider all the market. In order to do this you must have a platform that allow you to approach to potential recruits who are fulfill your job requirements and headhunter is the platform you are looking for. Recruit a candidate with a mix of skills, experience, fit, ambition and emotional intelligence is often like searching for a needle in several haystacks – which are dotted around the world. However, a headhunter with global network and powerful search software, will be able to help you with this kind of search. A recruitment process can be complicated and takes a great deal of time not to mention if you want to hire a talent or professional. A headhunter, with the support of a research centre, can scan dozens of profiles before sending you the 5 best. Your time is too precious to waste sending out in-mails on Linkedin or trying to find contact details for potential candidates. Headhunter will contact potential candidates and interview them before select the best 5 for their clients. Trust is a key element in the relationship between a company and a headhunter. They will keep it as confidential, so don’t worry to ask help from headhunter if you want to recruit someone from a competitor which you have a good relationship. A headhunter can help avoid conflict with competitors. A headhunter will have access to numerous databases and numerous networks, will speak to numerous candidates and will not be tied to preconceptions about the type of profile, with the outcome that you will have a shortlist of candidates coming from various backgrounds.